Rodger Casey has a birthday today. Rodger Casey added a comment on Dan Geuder's Profile. Rodger Casey added a comment on Marilyn Landwehr Courtney's Profile. Rodger Casey has a birthday today. New comment added. Rodger Casey posted a message on Dan Geuder's Profile. New comment added. Rodger Casey posted a message on Marilyn Landwehr's Profile. Wishing you the best on your birthday, Marilyn! Rodger Casey posted a message. New comment added. Happy Chanukah to you and John! 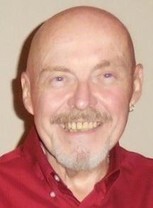 Rodger Casey added a comment on his Profile. Rodger Casey added a comment on Betty Jo Tandy Lieland's Profile. Rodger Casey added a comment on Sandy Lambert Tufts' Profile. May you and John have a good and sweet year! Rodger Casey posted a message. Wishing you a most Happy Birthday, Bob! Wishing you a Most Happy Birthday, Becky! Rodger Casey posted a message on Dave Hizer's Profile. A fine example of a Fleet biplane at The Flying Circus, Bealeton, Virgina, 2007. Not a dusty collector's item: flown lovingly and often by the young owners.